Best price new Lexus – get maximum discount on any brand new Lexus without having to shop around or negotiate yourself. Choose from any of the full range of Lexus models with the options that you want. 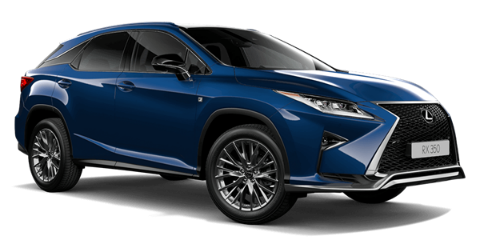 Be it a new Lexus CT, IS, ES, GS, LS, RC, LC, NX, RX, LX, RCF or GSF, Any New Car will ensure you have the opportunity to buy a new Lexus at the very best price. Yes. Whether you’re a private buyer, a small company, or run a large fleet of vehicles, Any New Car can get you the best deal on a new Lexus. We can also ensure you achieve the highest price for any car (or cars) you intend trading in as part of a new car purchase. That’s whether you are buying a new Lexus or any new car. We’ve forged alliances with Australia’s leading Lexus dealers and Fleet Management Operations – this means you’ll enjoy the best price, and the highest level of service when pricing and buying a new Lexus with the help of Any New Car. As the luxury car division of the Toyota Motor Corporation, high volumes of Lexus vehicles are sold globally every year. Lexus made its debut in 1989 and has since earned a reputation as offering discerning drivers both a reliable, and particularly well-finished luxury range of luxury passenger vehicles, sports cars and SUV’s. …it was Lexus that shone in this survey and achieved the top rating. This ‘Vehicle Dependability Survey’ was reportedly conducted by J.D. Power and Associates. The Lexus signature phase is: “The Pursuit of Perfection”. Lexus has used this phase since their beginnings and has developed strong equity in the Lexus brand name as a result of their persistence. Lexus vehicles and the customer service offered to Lexus owners, and potential owners are considered by most to be excellent. Best price new Lexus? It all starts here. Any New Car is here to save you time and money buying a new Lexus through a Lexus dealer near you. Have you decided on the new Lexus model you’re buying? If so, Any New Car is set to secure the maximum discount on the Lexus model you’ve decided on. Our unmatched new car broker service will ensure you get the lowest drive-away price on any new car. Our network of Lexus contacts across Australia are ready to win the business we continually deliver to their franchises. This means you’ll always get the best price on a new Lexus with Any New Car.